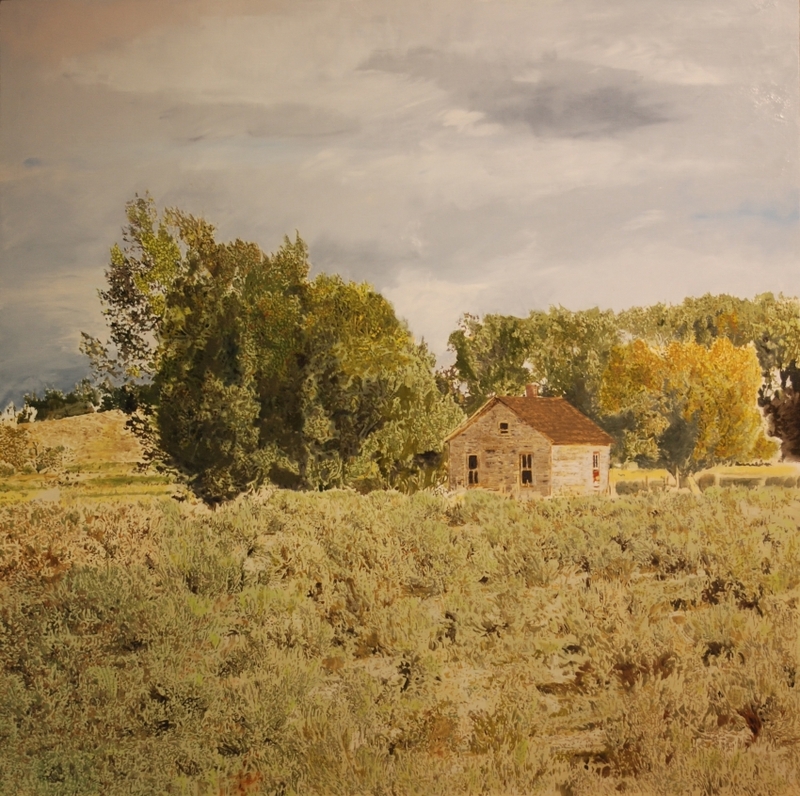 I found shelter in Jackson Pollack’s paintings as a teenager. Then began my regular visitations to the Vermeer’s at the Met. Now, 30 years later, I find deep peace in front of a Bierstadt and am awed by the work of Fredrick Church and Thomas Cole. Home was not a place for me, but a vision other artists had as I found my own. Chuck Close’s portraits thrilled me yet George Tooker’s drawings completely took me in. His work spoke the language of graphite. He was an artist closely watching graphite shine as it caught the tooth of paper too.